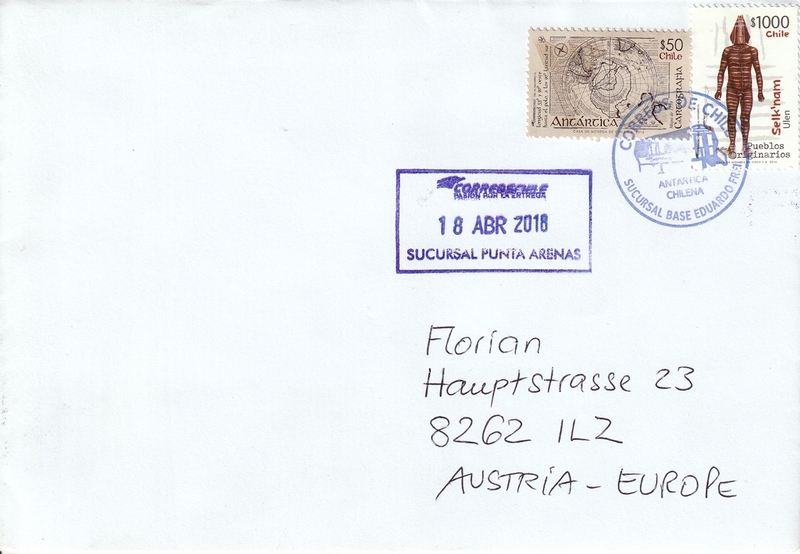 This stunning cover from the Chilean Antarctic Territory was arranged by Wolfgang, thank you very much! It was cancelled at the Base Eduardo Frei on April 18 and arrived on May 29, 2018. The left stamp is part of the set “Chilean Cartography”, which was issued on November 4, 2015. The right stamp is part of the set, which commemorates the indigenous Selk’nam people. It was issued on December 29, 2016.